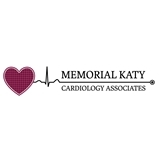 Memorial Katy Cardiology Associates (Houston) - Book Appointment Online! He is a very good doctor. I really like his explanations and concern for my health. My dad was on vacation in the US and had a tripple bypass surgery and we needed a doctor to oversee his recovery from the surgery. Dr. Sunew took the time to understand what my dad went through. He was pleasant and reasonable, he listened to all of our questions, some were probably not heart related but we didn't know and he showed patience in dealing with us.